A dry, smokey tobacco flavour which expertly replicates the flavour of a 'silver label' tobacco cigarettes. 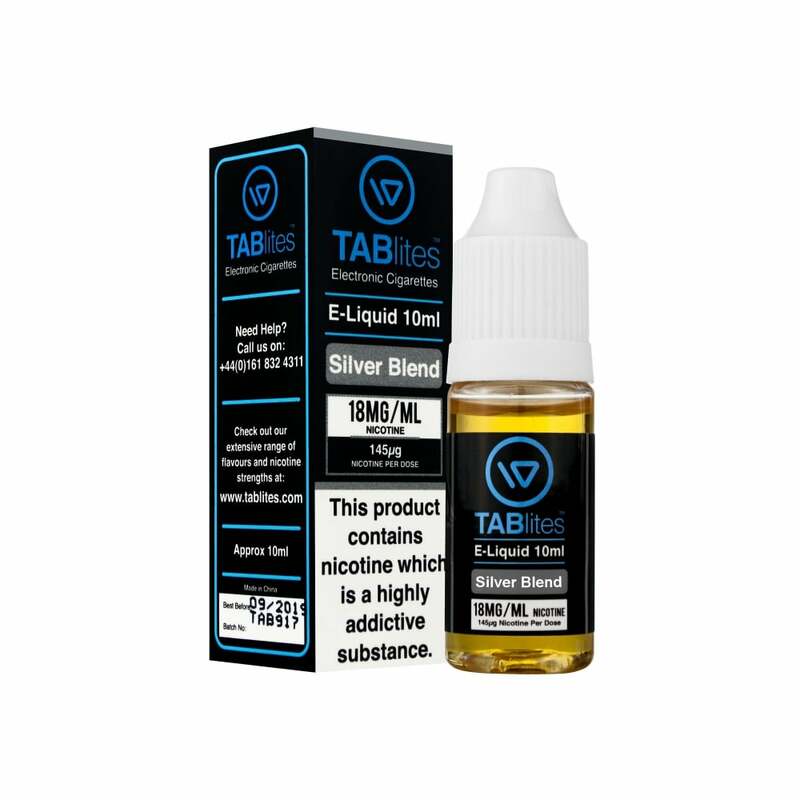 TABlites delivers a knockout e-liquid flavour once again. TABlites ensure that all ingredients are either pharmaceutical- or food-grade.